The handy magnetic clip closure allows the frame to open and close like a book and completely collapse. The object is placed on one of the two silicone membranes and the frame closed. The object is now surrounded by the two silicone membranes and remains in place. If displaying coins please display in capsules to get a firm grip. The two halves are held firmly together by the magnetic lock. 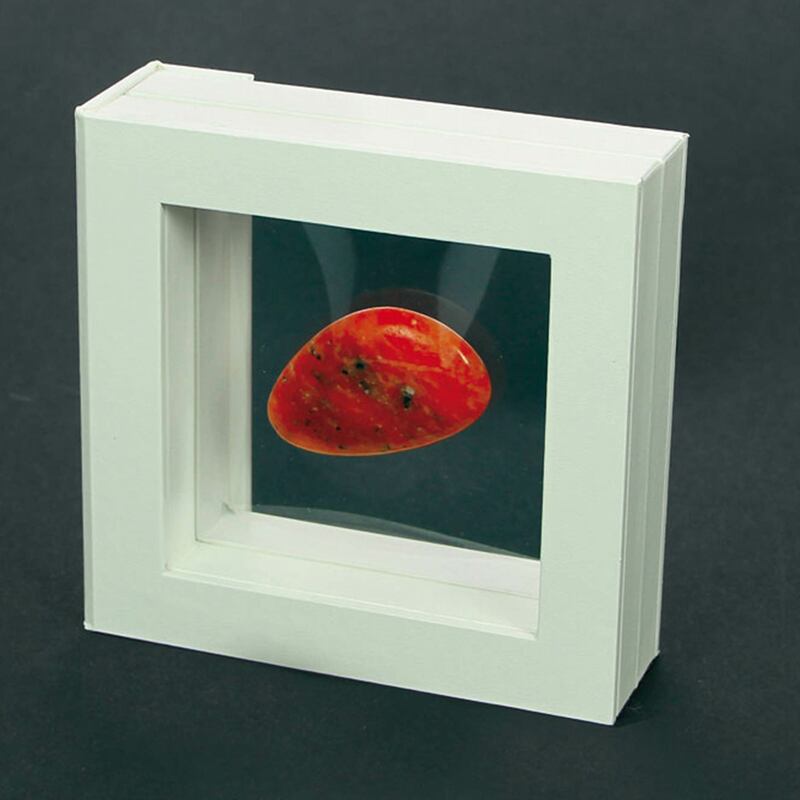 The floating frame closes perfectly and protects your treasures from dust. The collection object can be removed at any time to exchange it for another collector's item.